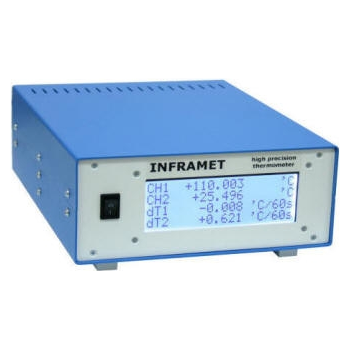 INFRAMET is a SME (Small and Medium Enterprise) that specializes in testing and simulation of imaging electro-optical systems: thermal imaging systems, image intensifier systems, CCD/CMOS/ICCD cameras. Showing recent results 1 - 15 of 27 products found. Blackbodies are devices that work as near perfect emitters of thermal radiation in range from visible to microwaves. There are many blackbodies available on international market. Inframet specializes in high-tech expensive blackbodies optimized for narrow market of high requirements. All blackbodies offered by Inframet are characterized by special features. 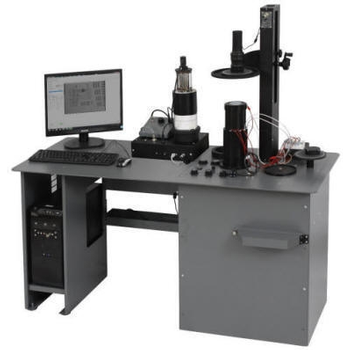 Boresight is a process to align optical axis of single system or a series of optical or electro-optical systems with a certain reference optical axis or mechanical axis. 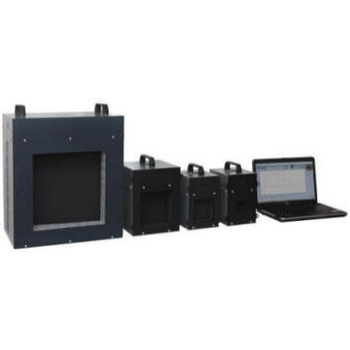 Proper boresight is particularly critical in case of multi-sensor electro-optical surveillance systems built from a series of systems like thermal imager, VIS/NIR camera, SWIR camera, laser range finder, laser pointer. Collimators are optical systems used to imitate standard targets placed in "optical infinity" (very long distance). 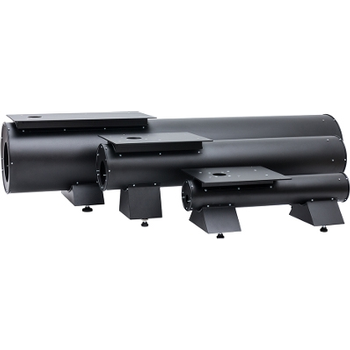 The collimators are used for projection of image of reference targets into direction of tested imagers. 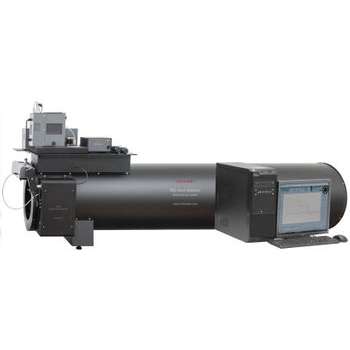 According to type of optical elements used in design, collimators are divided into two groups: reflective collimators and refractive collimators. 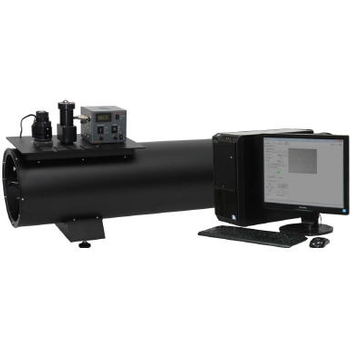 Reflective collimators due to their wide spectral range are almost exclusively used in systems for testing thermal imagers and are also preferable in systems testing TV cameras, SWIR imagers, laser systems or multi-sensor surveillance systems. Refractive collimators are mostly used in systems for testing night vision devices or TV cameras working in visible/near infrared range. TRAL test station is a quasi-universal test station designed to measure parameters of discrete (or small linear array) infrared detectors sensitive in a wide spectral range from about 700nm to about 16 000 nm (NIR/SWIR/MWIR/ LWIR detectors or broadband non selective detectors). 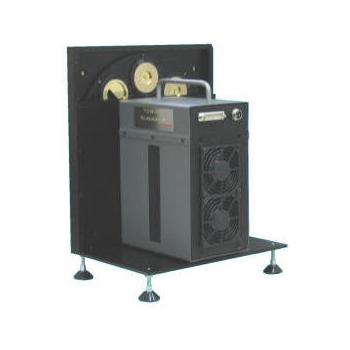 All main types of infrared detectors can be tested: photonic detectors: photovoltaic/photoreconductive, cooled/non-coooled, thermal detectors, pyroelectric detectors etc. 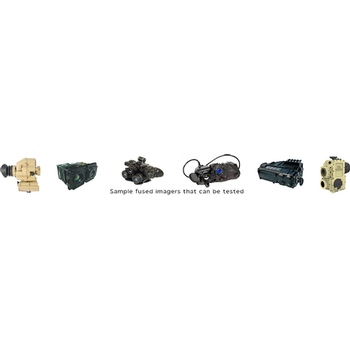 Multi- sensor surveillance systems represent a fast growing group of electro-optical systems of critical importance in both defense and civilian applications. At the same time they are the most expensive groups of electro-optical systems. Most advanced but rarely met multi-sensor surveillance systems are built from a long series of sensors like thermal imager (or two thermal imagers, color VIS camera, low light VIS-NIR camera, SWIR camera, laser range finder, laser designator, laser pointer, illuminator located on a stabilized platform and such systems. Simpler systems built from two-three sensors located on smaller stabilized or non-stabilized platforms are more common. Night vision devices are one of crucial surveillance technologies for defense/security sector. NVDs have also found mass applications outside defense sector. Testing NVDs is needed for both manufacturers, maintenance workshops and final users for a set of different and important reasons. Hi-tech test equipment can help significantly in manufacturing, maintenance, training, purchase optimization, and optimal use of night vision devices. Image intensifier tubes (IITs) are vacuum tubes that amplify a low light-level image to observable levels. 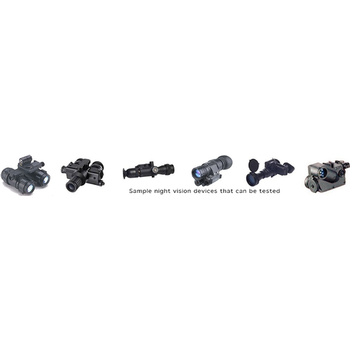 Image intensifier tubes are the most important modules of night vision devices that play crucial role in defense/security/industrial applications.Technology of manufacturing of image intensifier tubes is very difficult and performance parameters of modern IITs varies even within the same technological process. Next, test report offered by manufacturers cannot be fully trusted because there are some differences in test methods used by different manufactures. Further on, there are literature sources presenting conflicting claims of different manufacturers. It is quite common to find on the world market two night vision devices (or two image intensifier tubes) of the same data sheet parameters but of totally different image quality. Inverse situation is possible, too. Due to reasons mentioned above testing image intensifier tubes is of critical importance for both their manufacturers, manufacturers of night vision devices (NVDs) and final users of NVDs. Fused imagers (fusion multi-sensor imaging systems) offer increased surveillance capabilities due to fusion of classical thermal image with classical visible image. 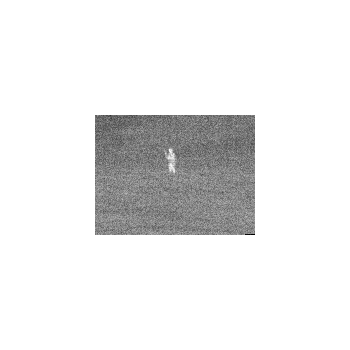 The fusion systems are typically built by combining optically images from thermal imager and classical night vision device, or by combining digitally images from thermal imager and digital night vision devices (or electronic VIS-NIR camera). Rotary wheels are one of basic blocks of systems for testing imaging EO systems. They are needed to enable motorized exchange of active target at collimator focal plane. There are usually 8 holes in the wheel for targets (other numbers are also possible). Wheels are covered with a black high emissivity coating (emissivity at least 0.97). Optical systems like optical objectives or oculars are a crucial block of modern electro-optical systems. Performance of these systems is often limited by parameters of optical block. Superior optics can significantly increase surveillance ranges of electro-optical surveillance systems like thermal imagers, VIS-NIR cameras, SWIR cameras, and night vision devices. Optical systems in form of optical sights are also used as independent systems in surveillance technology. 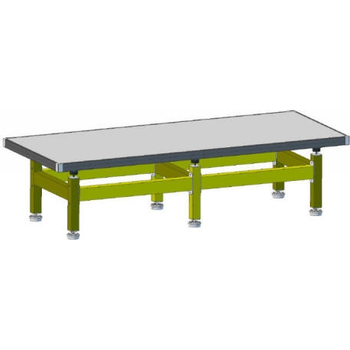 The primary goal of a well designed optical table is to eliminate relative motion between components of test system located on the surface of the optical table because such motion can generate measurement errors. 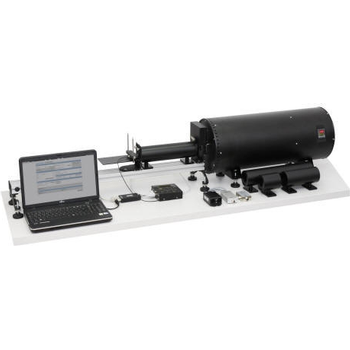 Streak tubes are the most important modules of streak cameras used for the study of ultra fast optical phenomena. 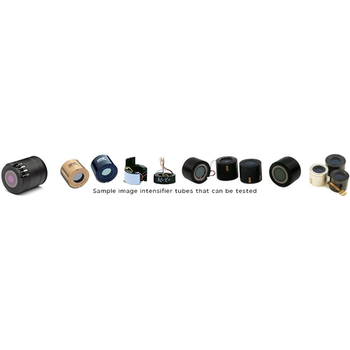 The latter cameras are tools of critical importance in many areas of science and technology like studies of plasma/electric discharge/ combustion/laser ablation/ condensed matter phenomenon, in optical communications, electron beam acceleration technology, photochemistry, medicine, biology etc. Streak cameras have made possible a series of important scientific discoveries in earlier mentioned areas of science and technology. Precision information about parameters of streak tubes is needed both by manufacturer of such tubes in improve tube design and by users of these tubes to correct data generated by the tubes and make possible more accurate interpretation of output images. 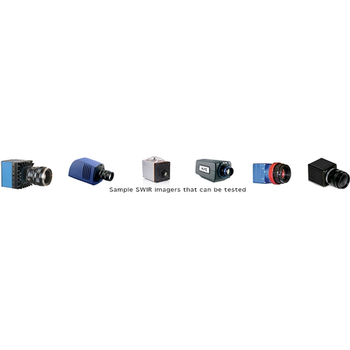 SWIR imagers (short wavelength infrared) are an important group of surveillance electro-optical imagers due several reasons. 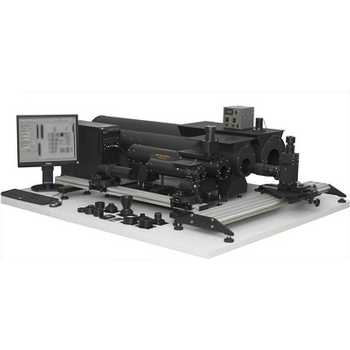 First, advances in InGaAs technology enabled design of relatively low cost SWIR imagers. Second, InGaAs imagers are very sensitive and can generate images of observed scenery even at dark nights. Third, SWIR imagers are less vulnerable to bad atmospheric conditions than TV/LLLTV cameras working in visible/near infrared band. Fourth, SWIR imagers can generate hi-res images even if they are built using much smaller optics than used for design of thermal imagers.